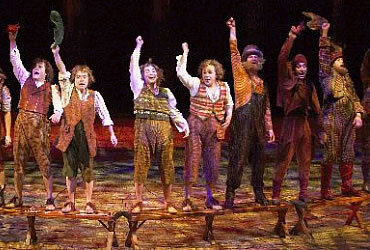 Guide to the stage musical version of "The Lord of the Rings"
This page is a brief guide to the musical stage version of The Lord of the Rings. 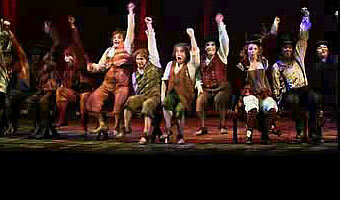 The show made its debut in Toronto (Canada) in March 2006. 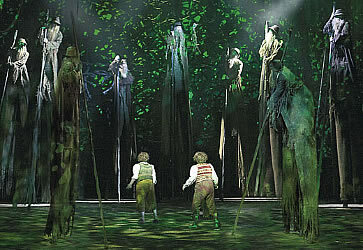 It moved to London in June 2007 and was staged at the Theatre Royal, Drury Lane until July 2008. 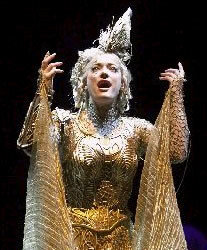 A German-language version will be staged in Cologne from the end of 2009, and it may then go on tour in other countries. The story is set long ago in a land called Middle-earth, inhabited not only by humans but also by creatures called hobbits, elves, dwarves and ents. 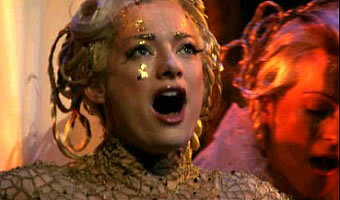 About 50 actors bring this world to life. 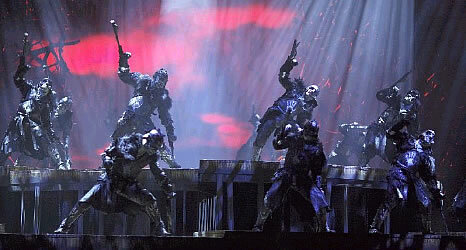 It is the most expensive ever stage production, with many dramatic special effects. 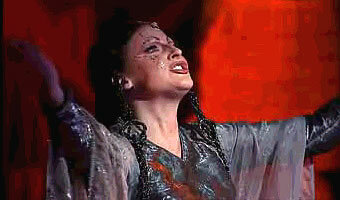 The London performances have now finished, so tickets are no longer available. - Little folk called hobbits are enjoying life in their green homeland somewhere in Middle-earth, but their peaceful life is about to change. 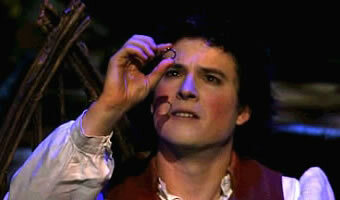 - Bilbo passes a ring to his nephew Frodo. This is called the One Ring and it has magical powers: it makes anyone who uses it corrupt. 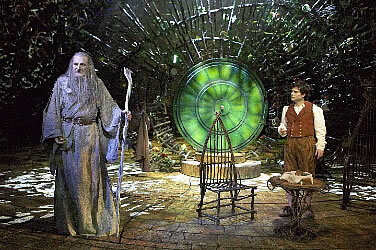 - A wizard called Gandalf warns Frodo that he must destroy the Ring by throwing it in the fires of Mount Doom in the land of Mordor, in the east. - Another senior wizard called Saruman wants Gandalf to bring the Ring to him, but he only wants it so that he can become powerful himself. 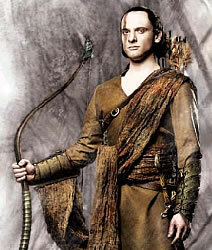 - Frodo goes in search of Mordor, accompanied by his friend Sam and followed by two young hobbits called Merry and Pippin. - Sauron The Dark Lord lost the ring a long time ago. He has now sent spies to find it. The ring will give him the power to control all of Middle-earth. 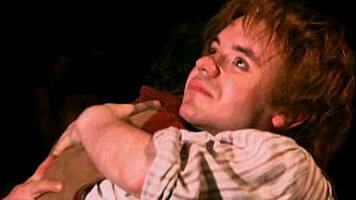 - Frodo and his companions have a rest in an inn called the Prancing Pony. Sauron's spies are following not far behind. 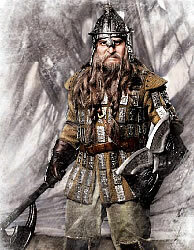 - As the hobbits travel further east they face increasing dangers, but they are being protected secretly by warriors called the Rangers. - A Fellowship is created of nine allies: the four hobbits, Gandalf, a ranger called Strider, the warrior Boromir, the dwarf Gimli and an elf called Legolas. 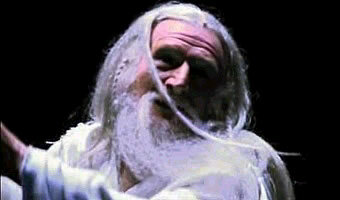 - Gandalf sacrifices himself to save the Fellowship from a demon who tries to attack them in the Mines of Moria. 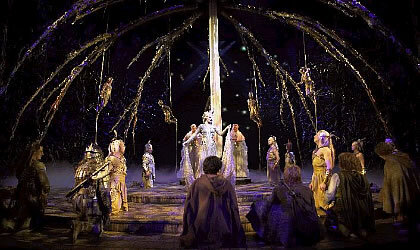 - The travellers enjoy a moment of safety in a magical place called Lothlórien, ruled by a lady called Galadriel. - Gollum offers to show Frodo and Sam how to get to Mordor. 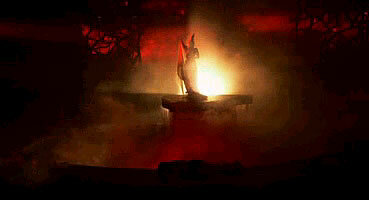 - The Orcs appear, controlled by Sauron the Dark Lord. 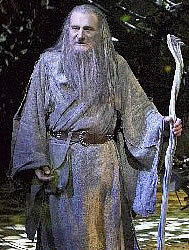 Gandalf returns to life and defeats them with help from giant tree creatures called Ents. - Sam and Frodo are led by Gollum to the magical fires at Mount Doom in the land of Mordor. - The corrupting power of the Ring starts to take over Frodo: he decides to keep it to give himself power. 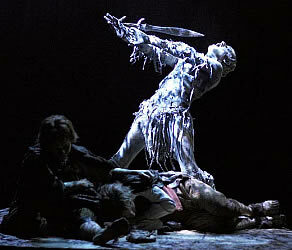 - Gollum snatches the ring from Frodo and falls with the ring into the fires. 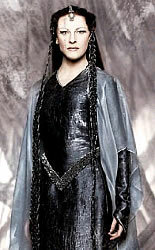 - Arwen chooses to give up her immortality to be with Strider, who is now known as Aragorn. 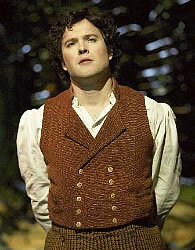 - Frodo seeks a new life by travelling West to the land of the Elves. - The hobbits' world is changing. Men become powerful and start to cut down trees and build factories. Magic leaves Middle-earth. The music was composed by the Indian A.R. Rahman and by the Finnish folk music group Värttinä. No shadow fall across this land! "The Cat and the Moon"
Before the Thursday matinee shows there were free 20-minute pre-show presentations, starting at 1:10pm. These provided some background information about the show and the theatre (aimed mainly at school groups). 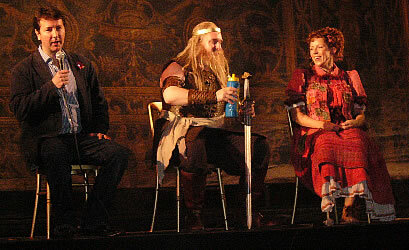 After the Thursday matinee show there was also a 30-minute question and answers session, when two of the actors returned to the stage to answer questions from members of the audience. Story: You do not need to have read the book or to have seen the films, but if you don't know the story it may help you to read a summary beforehand. This production is not just for people who enjoy adventure stories - the music, drama and stage effects have a broad appeal. Language: Some of the language used is quite complicated, so if your first language is not English you may not understand all of the words. However, provided that you have a basic understanding of the story this should not stop you from enjoying the show. 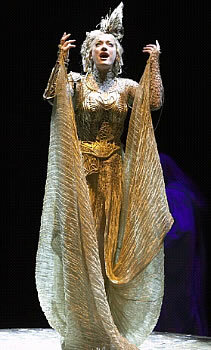 Age: This production is suitable for children or adults. 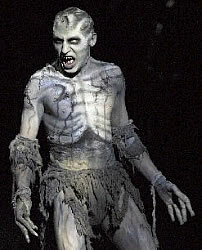 Parts of it are quite scary, so it may not suit very young children. Warnings: There are flashing lights and the noise level is quite loud at times. 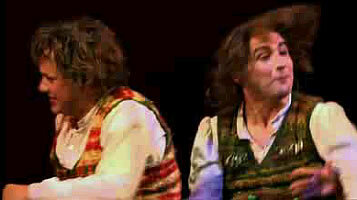 Music: This is a musical, with a live orchestra. 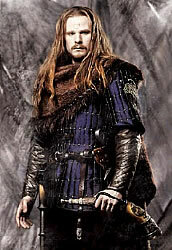 The style ranges from folk music to dramatic battle soundtracks. The author is J.R.R. Tolkien (1892-1973). John Ronald Reuel Tolkien was a professor at Oxford University, specialising first in the Anglo-Saxon language and later in English Language and Literature. He published "The Hobbit" in 1937. "The Lord of the Rings" was completed in 1948 and published in three parts in 1954/5: "The Lord of the Rings: The Fellowship of the Ring" (1954), "The Two Towers" (1954) and "The Return of the King" (1955). His son Christopher Tolkien also published a number of books based on his father's notes. 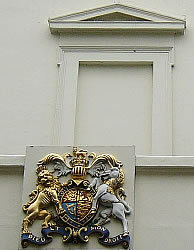 The Theatre Royal, Drury Lane is one of London's largest and most historic theatres. Theatre was banned after the English Civil War, but when Charles the Second was made king in 1660 he allowed it to start again. Two companies were given a royal charter to perform plays, and one of these created a theatre here. Charles the Second also ordered that women (instead of young boys) should play the female roles - previously it was not considered proper for women to appear on stage. One of the famous early actresses was Nell Gwynne, who is well-known because she became one of the king's lovers. The theatre was destroyed by a fire in 1809. It was rebuilt soon afterwards with a unique feature: it has two royal boxes, one on either side of the stage. This is because there was once an argument here between the king George the Third and his son (who later became George the Fourth). It was decided to rebuild the theatre with two separate royal boxes to keep the two of them apart! During the Second World War a bomb fell through the ceiling into the auditorium but luckily it did not explode. The front section of the bomb is kept in the theatre to remember this event. 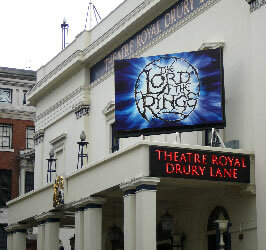 There have been many famous shows performed at the Theatre Royal, Drury Lane. 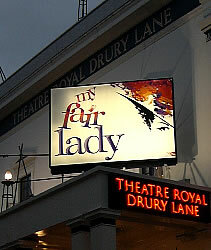 In recent years these have included Miss Saigon and My Fair Lady (part of the story for which is set in Covent Garden, the area next to the theatre). A film version of The Hobbit is expected to be released in 2009.